Do you yearn for a closer walk with God? Have you ever questioned what kind of plan God has for your life? Through these inspirational quotations and accompanying scripture, you can begin to piece together the map that God has Laid out for your life. Each page gives you insight into His grand plan, and the encouragement to help you fulfill it. 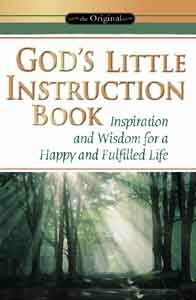 Whether your journey has just begun, or you've been on the road longer that you can remember, let this little book help guide you to the goal God has set aside just for you.